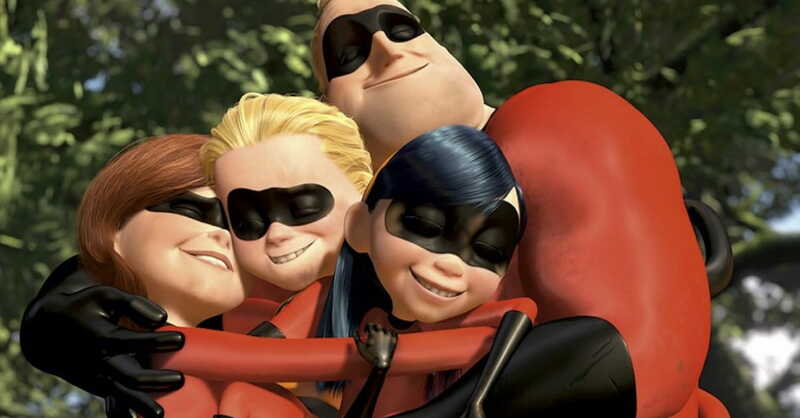 The 2004 animated film The Incredibles remains one of the most popular family-friendly movies of all time, and it nearly had a pro-stay-at-home-mom scene that would have made it even more well, incredible, to many of its fans. As told by director Brad Bird in the film’s DVD bonus footage, the scene would have shown Helen Parr (also known as Elastigirl) defending her role as a stay-at-home mom to an annoying neighborhood woman who looked down on homemakers. The scene took place at a neighborhood barbecue. The bonus footage includes storyboarding and voices from the scene, which never made it to the animation stage. Bird said the scene was personal for him and his wife. Bird also directs the upcoming movie Incredibles 2. But Bird and his wife noticed that other people had trouble connecting with her and her new stay-at-home position. The scene would have opened the movie and showed the Incredible family as being normal, everyday people. But when it was decided to begin the film showing them in their superhero roles – as is in the final version of The Incredibles – the scene was cut. The storyboarding scene in the bonus footage shows Helen Parr talking to Beth Anderson, a neighbor who is a commodities broker. “That sounds intriguing,” Helen says. “Well, it can be quite a challenge, but I got to be honest. I eat it for breakfast. What do you do, Helen?” Beth asks. Beth responds with a “that's nice” and ends the conversation, but is then heard making fun of Helen. “I am so, so sorry. I meant no offense,” Beth responds. With tension rising, the scene then switches to a mortified Bob Parr (Mr. Incredible), who had been cutting steaks and accidentally chopped his fingers while watching the two women. (Because he’s a superhero, his hand is fine.) Onlookers think he’s wounded, and he screams and pretends to be hurting so as not to blow his cover. Helen then pretends to rush him to the hospital. “I’m sorry honey. I know what this means,” Helen tells him as they laugh. “A couple of months of bandages. Scar makeup after that,” he responds. “Well, you wanted a normal life,” she says.